Address of H.E. Mr. Nursultan Nazarbayev, President of the Republic of Kazakhstan, to the participants of the OSCE Permanent Counsel, on the occasion of assuming by Kazakhstan the OSCE Chairmanship (Vienna, 14 January 2010) Since independence, Kazakhstan is making a real contribution to strengthening regional and global security, and will continue to be firmly committed to the fundamental principles and values of the OSCE. Said President of Kazakhstan Nursultan Nazarbayev in his address to the inaugural meeting of the OSCE Permanent Council in Vienna. Historic decision of Kazakhstan was the closure of the Semipalatinsk nuclear test site, a voluntary abandonment of the fourth largest in the world’s nuclear missile arsenal and the complete destruction of its infrastructure. In 2009 at the initiative of Kazakhstan was adopted by the UN General Assembly resolution declaring August 29 – International Day of Action against nuclear testing. “Kazakhstan is fully aware of its role as a responsible player in regional and global economic processes. Exporting to the world market significant volumes of hydrocarbons, our country is making a significant contribution to ensuring global energy security, including Europe. As a major exporter of grain and other food items, Kazakhstan is actively promoting the implementation of the UN Millennium Goals in addressing hunger and addressing food security in the world “, – noted the President. The situation in the world makes it difficult exam, which Kazakhstan will stand as the country chairing the OSCE. 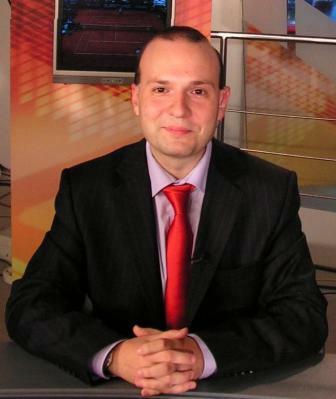 “Erosion of the non-proliferation of weapons of mass destruction, terrorism, humanitarian and ecological disasters, famine, poverty, epidemics, reduction of energy resources, conflict along ethnic and sectarian grounds – this is not a complete list of challenges of modern human civilization, a struggle that requires a maximum effort from by such reputable multilateral institutions such as the OSCE “, – he said. Kazakhstan President stressed that the most urgent problems, the need for solutions which are now facing the OSCE, have always been at the heart of Kazakhstan’s foreign policy. “In accordance with the OSCE traditions, we announce a motto of the acting chairmanship, which symbolizes identification of the chair-country. 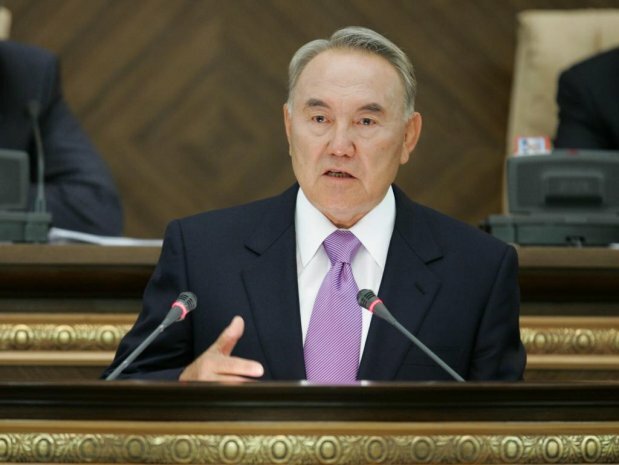 The motto of the Kazakh chairmanship will be four ‘T’ – Trust, Tradition, Transparency and Tolerance”, the President said. He noted that the first ‘T’ means mutual trust. The second one is adherence to the OSCE principles and values. The third one – maximum openness and transparency in international relations, free of ‘double standards’ and ‘dividing lines’. The forth ‘T’- reflection of global trends on strengthening intercultural and intercivilization dialog, which obtains more significance in the modern world. President Nazarbayev has proposed to declare August 1 – the date of signing of the Helsinki Final Act – the Day of the OSCE, as well as to convene the OSCE Summit in 2010 in honor of the 35th anniversary of the Helsinki Final Act, the 20th anniversary of the Charter of Paris and the 65th anniversary of the end of World War II. In his speech, OSCE Chairman, Secretary of State – Minister of Foreign Affairs of Kazakhstan Kanat Saudabayev declared priorities of Kazakhstan’s chairmanship. He stated that Kazakhstan, as chairman of the OSCE, will seek to bring closer the positions of the participating organizations to the west and east from Vienna on the basis of principles of impartiality and balance, to enhance its role in improving security and enhancing cooperation in the area from Vancouver to Vladivostok. Astana will seek to focus on achieving the optimum balance of all three “baskets” of the OSCE. Such an approach would help to see problems in the complex, effectively confront not only the external manifestations of modern challenges and threats, but also to work with their sources of origin. In particular, in politico-military dimension Kazakhstan will continue “the Corfu process” and will try to give new impetus to the OSCE efforts to stabilize the situation in areas of protracted conflicts and their resolution, development of international transport corridors, promoting tolerance and understanding. Astana intends to work actively with all partners to strengthen the OSCE Vienna Document 1999 and issues of post-war rehabilitation of Afghanistan. In selecting priorities in the economic and environmental dimension, Kazakhstan has proposed themes on promotion of good governance at border crossings and development of safe and efficient ground transportation. According to Astana, it is necessary to continue work on migration and energy security in accordance with the ministerial decisions in Athens. The human dimension remains a key theme in the agenda of the Chairmanship, and Kazakhstan will continue to support activities of the ODIHR, the High Commissioner on National Minorities, Representative on Freedom of the media. The holding in Astana on 29-30 June this year, the OSCE High Level Conference on Tolerance and Non-discrimination would make a worthy contribution to further enhance the interaction between different cultures and civilizations, the practical implementation of earlier decisions. This year 15 OSCE member countries will hold presidential and parliamentary elections. Therefore Kazakhstan urged the ODIHR and the OSCE Parliamentary Assembly to coordinate their work and do everything possible to the process of monitoring the elections were to ensure objectivity and constructivism. Two days ago [January 12], at almost six o’clock in the evening Cuban time and when, given its geographical location, night had already fallen in Haiti, television stations began to broadcast the news that a violent earthquake -– measuring 7.3 on the Richter scale -– had severely struck Port-au-Prince. The seismic phenomenon originated from a tectonic fault located in the sea just 15 kilometres from the Haitian capital, a city where 80% of the population inhabit fragile homes built of adobe and mud. The news continued almost without interruption for hours. There was no footage, but it was confirmed that many public buildings, hospitals, schools and more solidly constructed facilities were reported collapsed. I have read that an earthquake of the magnitude of 7.3 is equivalent to the energy released by an explosion of 400,000 tons of TNT. Tragic descriptions were transmitted. Wounded people in the streets were crying out for medical help, surrounded by ruins under which their relatives were buried. No one, however, was able to broadcast a single image for several hours. The news took all of us by surprise. Many of us have frequently heard about hurricanes and severe flooding in Haiti, but were not aware of the fact that this neighbouring country ran the risk of a massive earthquake. It has come to light on this occasion that 200 years ago, a massive earthquake similarly affected this city, which would have been the home of just a few thousand inhabitants at that time. At midnight, there was still no mention of an approximate figure in terms of victims. High-ranking United Nations officials and several heads of government discussed the moving events and announced that they would send emergency brigades to help. Given that MINUSTAH (United Stabilization Mission in Haiti) troops are deployed there -– UN forces from various countries –- some defence ministers were talking about possible casualties among their personnel. It was only yesterday morning when the sad news began to arrive of enormous human losses among the population, and even institutions such as the United Nations mentioned that some of their buildings in that country had collapsed, a word that does not say anything in itself but could mean a lot. For hours, increasingly more traumatic news continued to arrive about the situation in this sister nation. Figures related to the number of fatal victims were discussed, which fluctuated, according to various versions, between 30,000 and 100,000. The images are devastating; it is evident that the catastrophic event has been given widespread coverage around the world, and many governments, sincerely moved by the disaster, are making efforts to cooperate according to their resources. The tragedy has genuinely moved a significant number of people, particularly those in which that quality is innate. But perhaps very few of them have stopped to consider why Haiti is such a poor country. Why does almost 50% of its population depend on family remittances sent from abroad? Why not analyse the realities that led Haiti to its current situation and this enormous suffering as well? The most curious aspect of this story is that no one has said a single word to recall the fact that Haiti was the first country in which 400,000 Africans, enslaved and trafficked by Europeans, rose up against 30,000 white slave masters on the sugar and coffee plantations, thus undertaking the first great social revolution in our hemisphere. Pages of insurmountable glory were written there. Napoleon’s most eminent general was defeated there. Haiti is the net product of colonialism and imperialism, of more than one century of the employment of its human resources in the toughest forms of work, of military interventions and the extraction of its natural resources. This historic oversight would not be so serious if it were not for the real fact that Haiti constitutes the disgrace of our era, in a world where the exploitation and pillage of the vast majority of the planet’s inhabitants prevails. Billions of people in Latin American, Africa and Asia are suffering similar shortages although perhaps not to such a degree as in the case of Haiti. Situations like that of that country should not exist in any part of the planet, where tens of thousands of cities and towns abound in similar or worse conditions, by virtue of an unjust international economic and political order imposed on the world. The world population is not only threatened by natural disasters such as that of Haiti, which is a just a pallid shadow of what could take place in the planet as a result of climate change, which really was the object of ridicule, derision and deception in Copenhagen. It is only just to say to all the countries and institutions that have lost citizens or personnel because of the natural disaster in Haiti: we do not doubt that in this case, the greatest effort will be made to save human lives and alleviate the pain of this long-suffering people. We cannot blame them for the natural phenomenon that has taken place there, even if we do not agree with the policy adopted with Haiti. But I have to express the opinion that it is now time to look for real and lasting solutions for that sister nation. 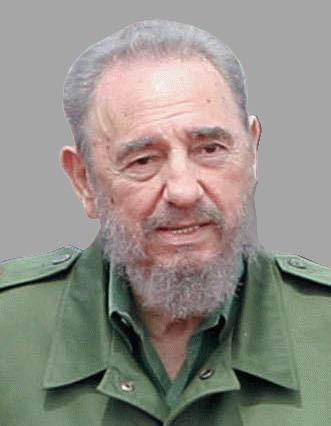 In the field of healthcare and other areas, Cuba –- despite being a poor and blockaded country -– has been cooperating with the Haitian people for many years. Around 400 doctors and healthcare experts are offering their services free of charge to the Haitian people. Our doctors are working every day in 227 of the country’s 337 communes. On the other hand, at least 400 young Haitians have trained as doctors in our homeland. They will now work with the reinforcement brigade which traveled there yesterday to save lives in this critical situation. Thus, without any special effort being made, up to 1000 doctors and healthcare experts can be mobilised, almost all of whom are already there willing to cooperate with any other state that wishes to save the lives of the Haitian people and rehabilitate the injured. Another significant number of young Haitians are currently studying medicine in Cuba. We are also cooperating with the Haitian people in other areas within our reach. However, there can be no other form of cooperation worthy of being described as such than fighting in the field of ideas and political action in order to put an end to the limitless tragedy suffered by a large number of nations such as Haiti. The head of our medical brigade reported: “The situation is difficult, but we have already started saving lives.” He made that statement in a succinct message hours after his arrival yesterday in Port-au-Prince with additional medical reinforcements. Later that night, he reported that Cuban doctors and ELAM’s Haitian graduates were being deployed throughout the country. They had already seen more than 1000 patients in Port-au-Prince, immediately establishing and putting into operation a hospital that had not collapsed and using field hospitals where necessary. They were preparing to swiftly set up other centers for emergency care. We feel a wholesome pride for the cooperation that, in these tragic instances, Cuba doctors and young Haitian doctors who trained in Cuba are offering our brothers and sisters in Haiti! European Council on International Relations will award and in 2010 the important prize LEADER OF XXI CENTURY destined to reward the political personality involved in democracy building, open society construction, support to direct democracy and support for peace and international cooperation. The title is only offered to active or former presidents, prime ministers or key political figures from their country that have a positive influence on international policy arena and a positive influence on internal policy issues (democratization, civil society building) The title will be awarded after two weeks of consultation by an international panel of foreign policy experts, european political figures that will evaluate candidature to this important honor. The candidature could only be filed by official organization as: universities, embassies, consulate, and ministry of foreign affairs or presidential administration. The filed could be sent to European Council on International Relations at general e-mail: office@eucir.com until 30 of January and the final decision will be announced publicly on 10 of February 2010. Leader of XXI Century will be as always an open competition destined to universally acclaim the personalities that shaped our life.